A mobile development leader and veteran, Eran Kinsbruner has been in the dev & test industry since 1999. The creator and author of the quarterly Digital Test Coverage Index (Factors Magazine), and co-inventor of the test exclusion automated mechanism for mobile J2ME testing at Sun Microsystems, Eran serves as a prominent resource for every step of the app development cycle. As an influential blogger and speaker at global conferences like StarEast, Eurostar, Automation Guild and QAI Quest, Eran’s expertise has proven outstandingly valuable to developers and testers at organizations large and small. At a community level, Eran founded Meetups in both Boston and Israel to empower, educate, and bring together local dev/test experts and launched a LinkedIn Group with over 5,400 mobile developers and testers from all over the world. 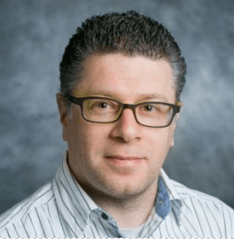 Eran is the author of a book titled The Digital Quality Handbook, the book offers intel on integrating quality into every step of the development cycle to help dev & test teams meet rising consumer’s standards for mobile and web applications. Currently, Eran is the Mobile Technical Evangelist at Perfecto, the leading cloud-based web and mobile quality lab, and was formerly the CTO for Mobile Testing at Matrix, and managed technical teams at Qulicke & Soffa, Sun Microsystems, General Electric and NeuStar. We’re all hearing the buzzwords of AI, machine learning, chatbots, and next-generation testing. Does this mean that the days of traditional testing as we know and practice it are over? Eran Kinsbruner doesn’t think so. Join him to learn about the clear transformation happening toward smarter testing techniques and tools. These approaches will drive better pipeline efficiency and release velocity with high quality, and Eran thinks this means good things for the testing practice and practitioners. You’ll discover the key trends that are happening around AI, machine learning, and bots in the web and mobile landscapes, and get the ability to identify some early adopters who are taking the lead in these domains. Learn some key requirements and skills that are required for a test engineer to shift toward the future of automation, as well as the changes testers will need to undergo in order to become future leaders in this space.